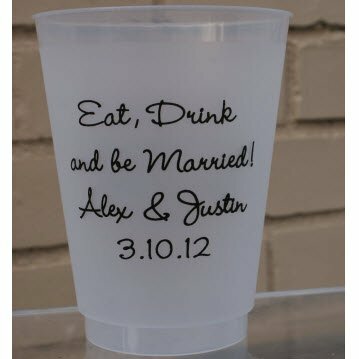 Personalized 16 Oz Shatterproof Cups Order More And Save! 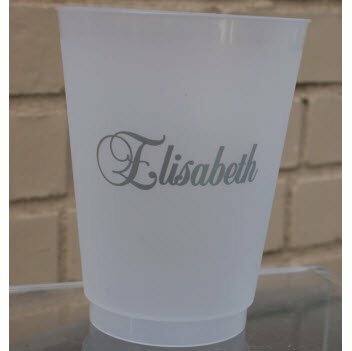 These personalized shatterproof cups are a visually appealing and cost-effective method to promote your personal event or business at an affordable price. They are offered in large quantities just for this purpose. 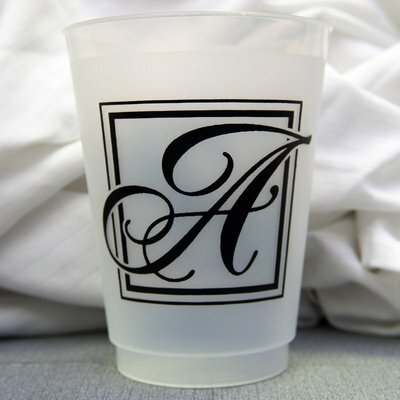 Have your monogram, text or an image screen printed on your cups. Price includes 2-sided or wrapped design, 1-color imprint and up to 3 lines of copy and art. Please follow the instructions below for customizing your cups. This sophisticated drinkware has a uniquely frosted, textured design to provide a sure grip surface for elegance and safety. Its flexible construction is unbreakable, durable and top-shelf dishwasher safe. Cups are 4.5" tall. 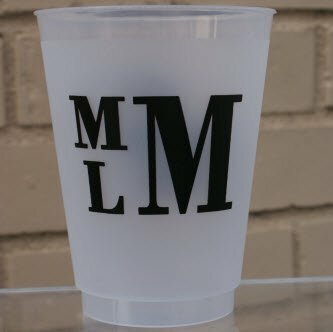 If you prefer a monogram for your cup, select the monogram layout in the second section below then the monogram font in the third section. If you DO NOT want a monogram, skip ahead to the text font section and continue customizing. Price: $74.00 In stock! - Browse this brand: Print AppealOur products are custom made to your specifications. This product ships up to 3 weeks after your order is placed.